Keyword Research. Even writing those 2 words seems intimidating. I can’t even begin to imagine how you feel! I dreaded writing this blog post for about 10 minutes. It just seemed like a daunting task and not a fun subject to talk about. But it is because of those thoughts that gave me the guts to write this post. Sometimes you need to talk about the ugly things because others won’t! And going the extra mile is never crowded. Talking about keyword research, because the thing is that keyword research is critical if you want to write SEO friendly content that will succeed online! You need to research what your audience is looking for and what your competition is talking about to find opportunities for your content to shine. So even though keyword research may seem intimidating, you need to do it! 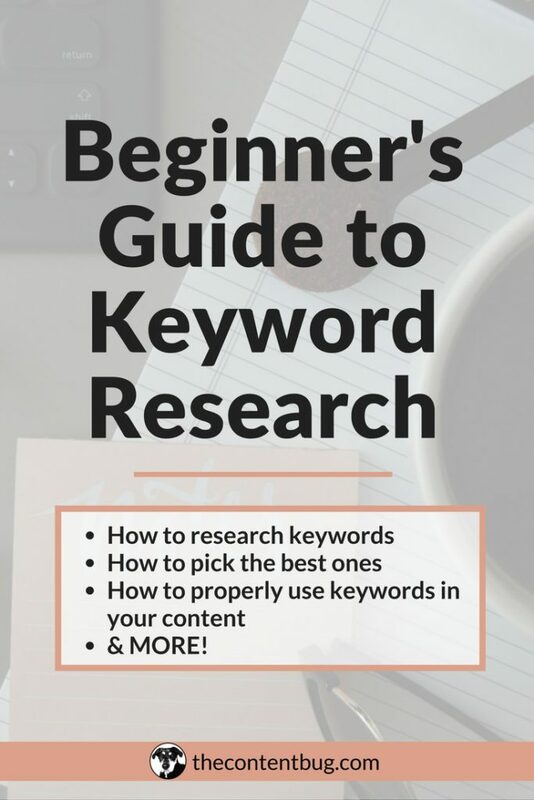 And by the time you reach the end of this guide to keyword research, you will understand why keyword research is important, how to properly research keywords, how to pick the best keywords for your website or business, and how to use those keywords to your advantage. Now that’s a lot to cover! So let’s stop babbling and get to the good stuff. You’ve probably heard that high-quality content uses keyword research as the foundation of success. So let’s find out the real reasons behind why keyword research is important. The most important thing that you need to know about keyword research, is that you find out what your audience is searching for. 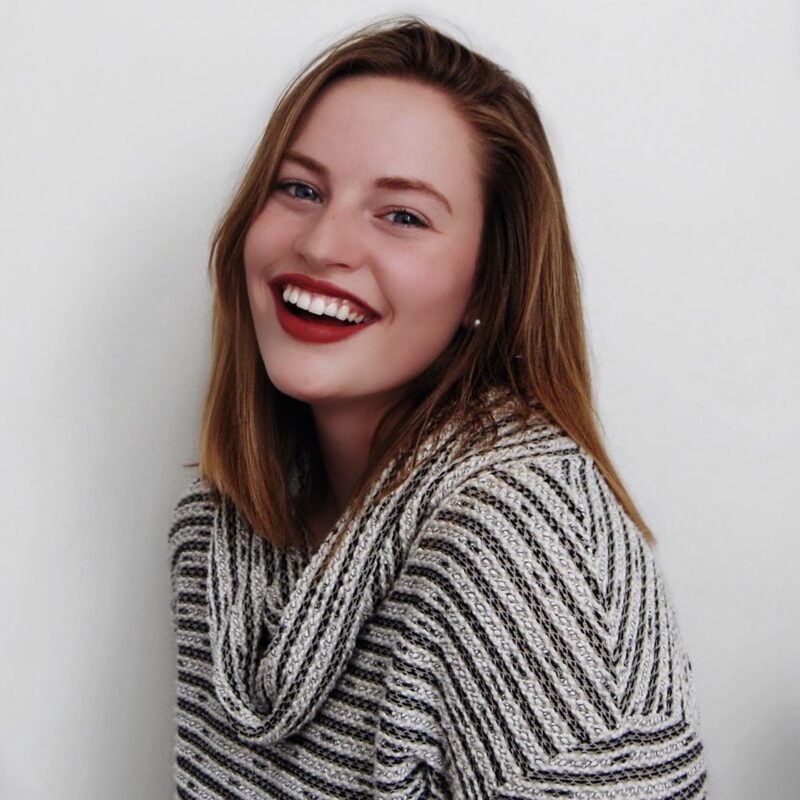 Wouldn’t it be great to crawl inside your audience’s mind and see what they are thinking and looking for when it pertains to your business, services, or products?! This would solve a lot of your problems with lead generation, wouldn’t it? Well, with keyword research, you get to see what your audience searches for on a regular basis! That way you can craft your content to the needs of your audience. Amazing! It’s sad to say, but not a lot of people think about keyword research. They simply write content based on what they want to talk about and hope that it will produce results. And sometimes it will. But sometimes it won’t. So when you use keyword research you get ahead of your competition by understanding what they are ranking for, what your audience is searching for, and what you need to rank for as a result! You create relevant content that gets results! 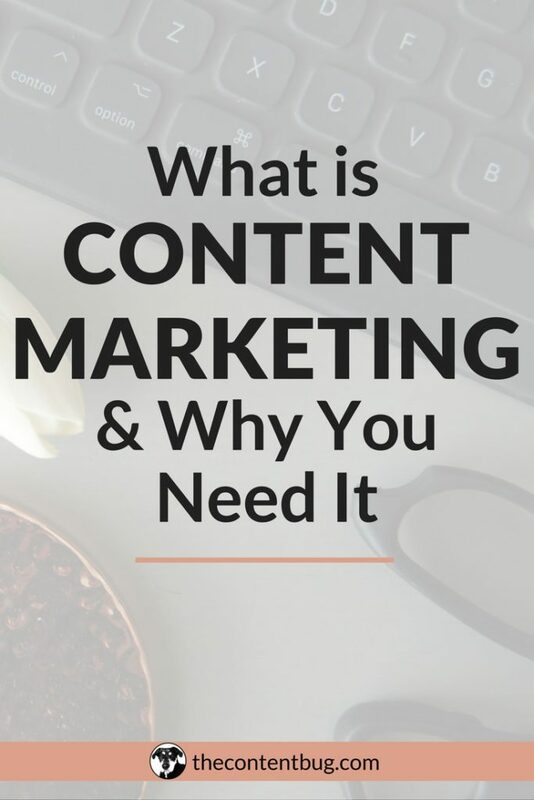 Once you know what your audience wants, you can create a content marketing strategy that actually wins! But that doesn’t just happen by magic. You have to put in the work. 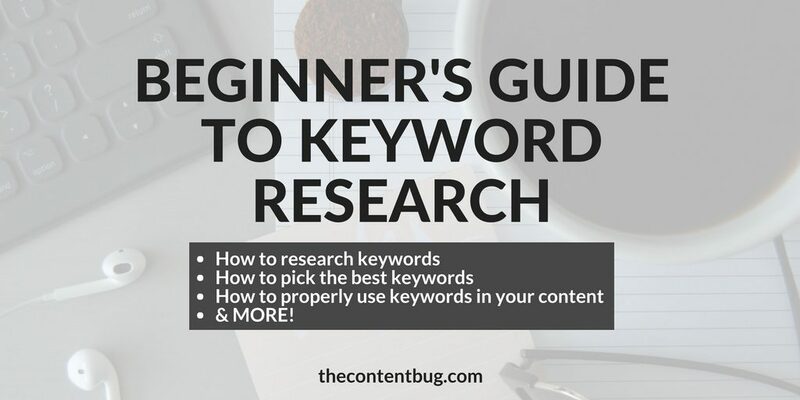 So let’s take a look at how to research keywords so that you can start to see amazing results! It’s time to get down and dirty with those keywords. Are you ready? Here are 3 keyword planning tools that I use and think that you may like too! My all time favorite tool for keyword research is SEMRush. It is easy to understand, free to use, and gives you all of the information that you need! If you want to get serious about you keyword research, I would recommend using the paid version. But it’s not necessary for beginners. With SEMRush you get to see the search volume, competition, Cost-Per-Click, and other relevant terms that your audience is searching for. Keyword Finder is great for long-tail keywords! But it is also great for an overall keyword research tool as well. It provides you with the same information as SEMRush, but it appears to be less intense to a beginner. There is less information for you to digest from the layout of the program. So if you’ve never used a keyword planner tool before, I highly recommend KW Finder. Oh, and it’s free! This is a basic staple for keyword research. And it is more frequently talked about as a tool that most use. Anyone with a Google account can set up an ads account and have access to this keyword planner. But, I do want to say that this is not as detailed as the other 2 tools that I just talked about! And honestly, I rarely use Google’s Keyword Planner because it doesn’t provide all the information that I need. But this is still a great option! To get a well-rounded understanding of the keywords you need to rank for, you need to scope out the competition. Let’s use SEMRush as an example. All you need to do is enter a competitor’s URL into the search bar. Once you hit enter, the program will generate all the stats that it can on that domain. You can quickly learn the organic search traffic, paid search, backlinks, top keywords, and more for that competitor! By using this tactic, you learn where your competition gets most of their traffic from search engines. Is if from their brand name or a specific keyword? This is important to understand what works and doesn’t work for them so you can create a successful strategy! Now it’s time to really start the keyword research! Pick any of the tools above and simply search for a relevant topic or keyword that pertains to you or your business. This could be anything as long as it is relevant! But the neat thing about these tools is that you can get specific to your target audience. You can set the settings to only search a certain geographic area, a certain language, and more. So that it is tailored to the searches completed by your audience! This is a search using KW Finder. You can see that the search was for “Fashion” in New York. And it automatically generated all of that information & more in seconds! With whatever tool you choose to use, it will generate a wide variety of information about relevant searches, the volume of the search, and more. And the best part is that you can download or export a spreadsheet filled with the information for you to analyze! So go ahead and download this spreadsheet. Then move onto the next keyword or topic that you think is important to your website or business. The more detailed you get the better! You will notice that my fashion search was very broad even though I entered a location! Get as specific as you can and save multiple spreadsheets that provide you with lots of value. Now that you have the spreadsheets, it’s time for you to pick the best keywords that will actually succeed! Here are the top 2 tips to remember! Long-tail keywords will work wonders on your content marketing strategy. This is the key to your success. Let me explain. Long-tail keywords are a string of words that make up a keyword phrase. So instead of “fashion” the long-tail keyword might be “New York City street fashion for women”. See the difference? One is very generic and could produce several million results that are all over the board. But the other is specific to an audience that is looking for a location, gender, and style of fashion. That is what you want! One is very generic and could produce several million results that are all over the board. But the other is specific to an audience that is looking for a location, gender, and style of fashion. That is what you want! So instead of focusing on the short keywords that only contain a word or two, take some time to narrow in on your audience to see the specifics in what they are searching for. A common mistake in keyword research is thinking that the larger the search volume, the better. And although a high search volume would be great to rank for, it’s not the best strategy.I need you to forget about being wowed by the large numbers! Instead, look for the terms that have less competition and a couple thousand monthly searches. This is your sweet spot. I need you to forget about being wowed by the large numbers! Instead, look for the terms that have less competition and a couple thousand monthly searches. This is your sweet spot. Now, don’t go too crazy and only focus on the super long keyword phrases that only have 100 monthly searches! That will get you nowhere. You need to find a happy medium. So focus on the long-tail searches that have 3+ words. And look at those terms to find the ones that have over 10,000 monthly searches with less competition in the results. This is your time to shine! Now that you’ve researched your keywords and have a spreadsheet with the important information, it is time that you put those bad boys to work. Keyword research means nothing if you don’t plan your content around it. So take a look at that spreadsheet that you created. 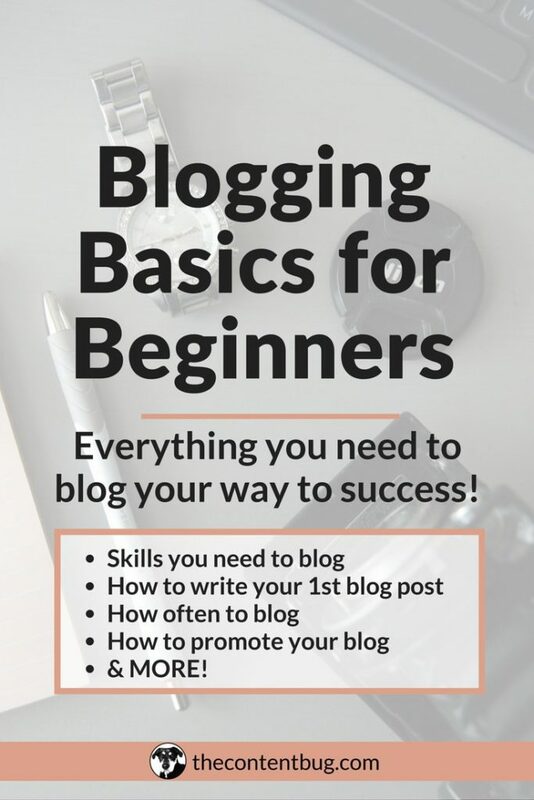 Can you expand upon any of those keyword phrases to create articles or blog posts? You now need to use those keywords to create content ideas that you can use for your content marketing strategy. This could mean thinking of new blog posts that cater to those phrases. Or adding some relevant content into a current page on your website. Whatever it is, create an action plan to use those keywords! If you want to rank well for a keyword (& you do! ), then you need to place the keyword phrase in your headline. But don’t forget about the readability. You’re not just writing your headline for search engines, you are writing them for your audience as well. Did you know that 8 out of 10 people only read the headline of an article? So if you’ve made it this far, thank you! You are one-of-a-kind! So yes, it is important to include your keyword phrase into your headline to appear in search. But will your readers actually want to read your search results? That’s the sweet spot. I hope I don’t have to remind you that keyword stuffing is a thing of the past. You don’t need to include your keyword in your content 5 times or 200 times to reach success. As long as you write high-quality content that is relevant to the keyword phrase, that’s all that matters. Remember to write for your audience, and not for the robot. 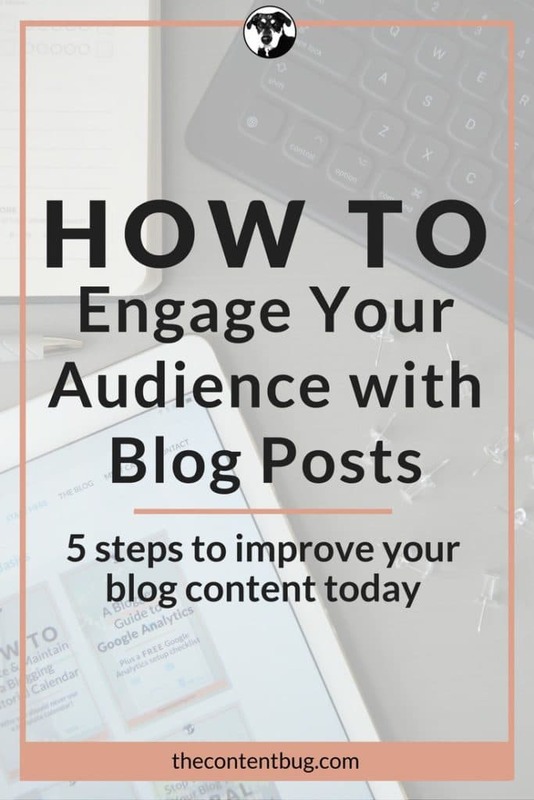 Once you do this, your content and your search engine results will improve. I’ve written blog posts that were supposed to talk about one thing and then magically end up talking about something completely different. And before I hit the launch button, I realize that I have to rethink the keyword strategy for that post and tweak my content. You need to make sure that your keyword always matches your content. You may start out with a great keyword phrase, and an even better headline, but if the content doesn’t match that information, then you need to go back to the drawing board. The best format is to start with a keyword phrase. Then write the content that will support that phrase. After the content is complete, then come up with a relevant title that includes the keyword and accurately describes the content included. This is the formula for success. This is the formula for success. So what are you waiting for… go out there and start your keyword research. It’s not as daunting as you are making it seem in your head. You can do it. You are amazing. And you will get ahead of your competition with killer content! What is your favorite trick to finding the best tools? Let’s chat in the comments below! These are great tips. Pinning for later!thanks for sharing. Such useful tips! Thanks for sharing! These are great tips. Pinning for later! Thanks for all the great info! Pinned for future reference! I’m glad you enjoyed the post and found it helpful! Let me know if you have any other questions or if there is more information I could add!